This listing is reserved for Jacinta, please do not purchase unless this is you! This listing is for 10 payments for the ring total, all payments be finished before delivery of the set. The rings will be shipped once all payments are complete. 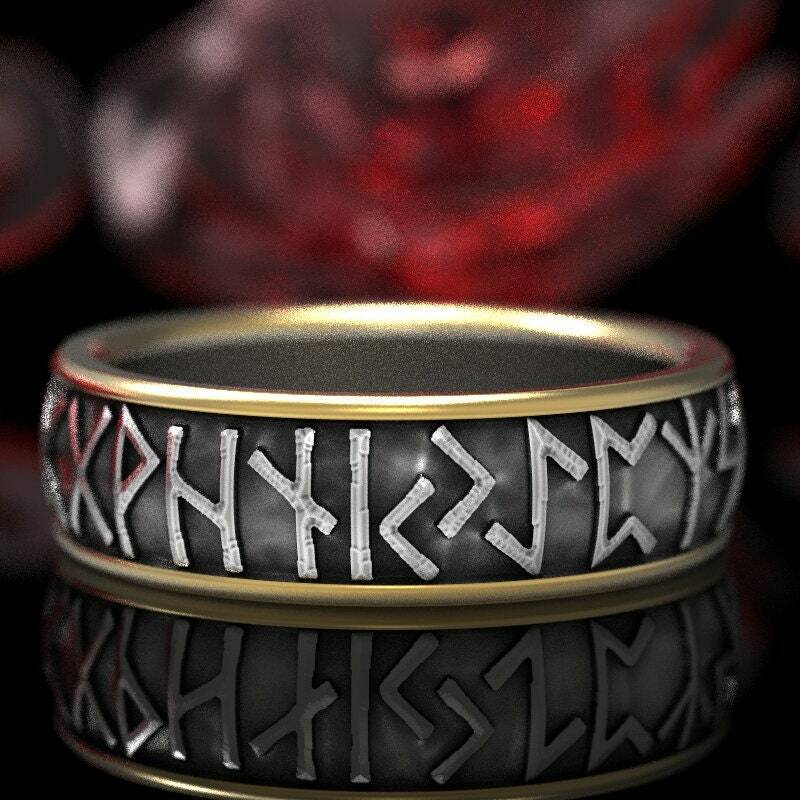 We can create this ring either runes as shown in the image, or custom runes that you supply for an additional $60. 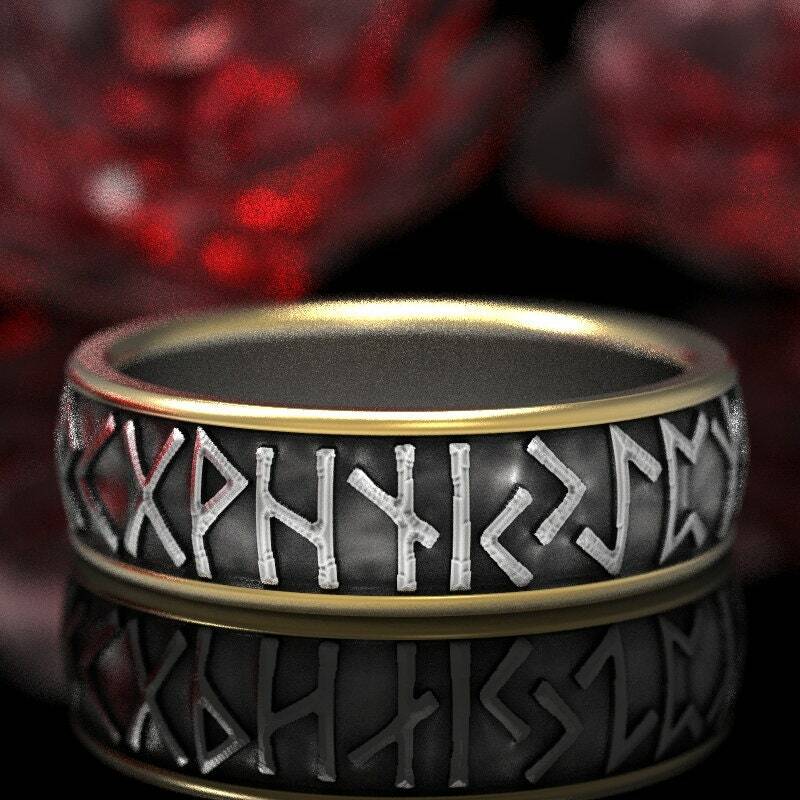 A striking ring design that you won't see anywhere else! 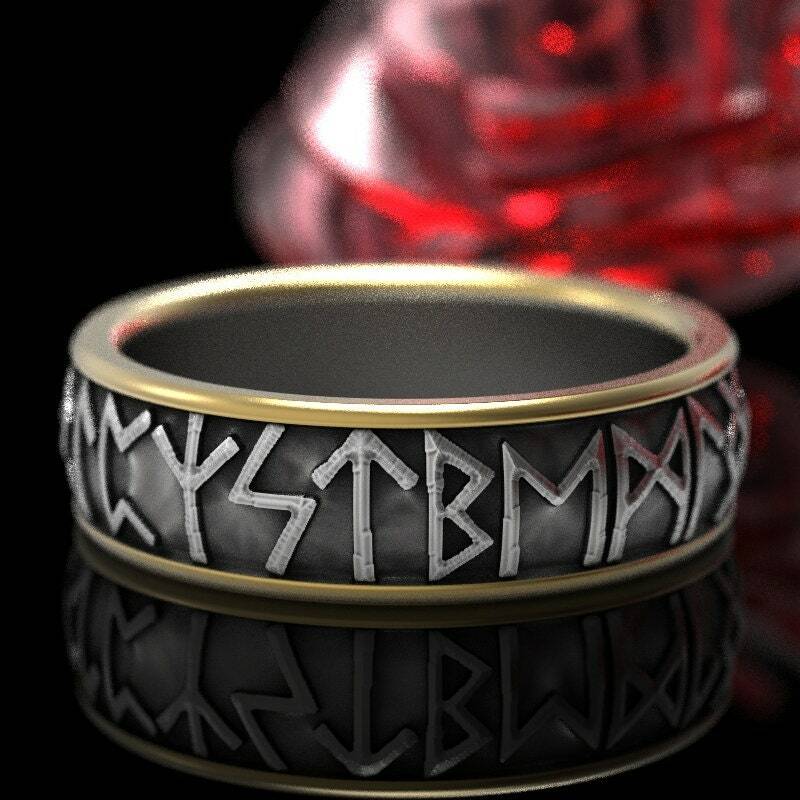 Mystical and magical, this ring is themed after the runic alphabet, which was used to write various Germanic languages. Each letter is believed to hold specific power. The earliest known example of a runic alphabet is dated around 150 AD. One of the oldest written languages, it's a wonderfully enigmatic way to let your loved one (or yourself) know they are enchanting to you. 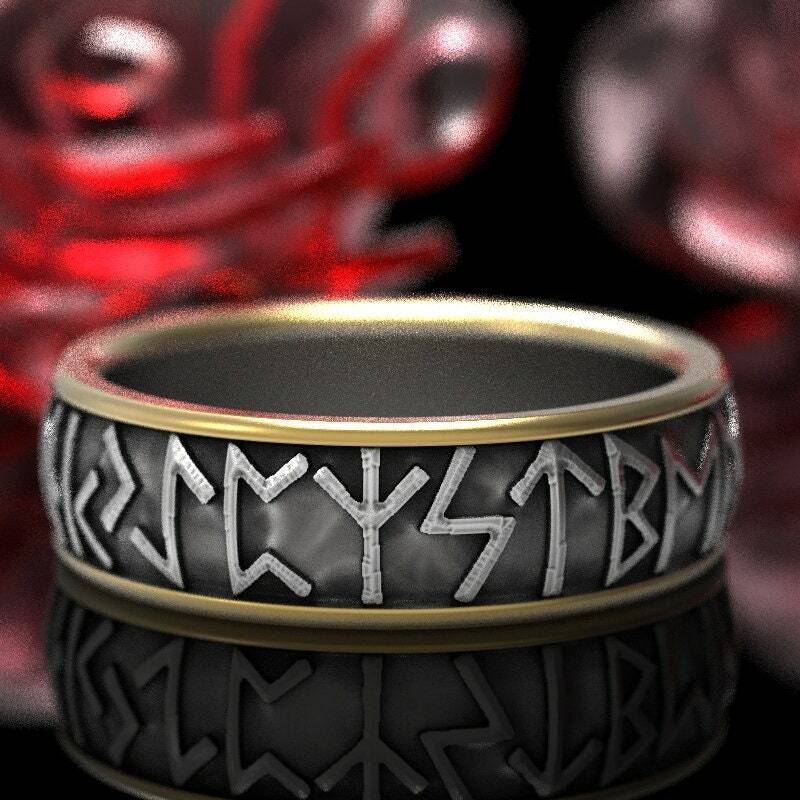 The name Rune itself roughly translates to "secret, something hidden". The knowledge of runes was originally considered esoteric, or restricted to the elite. Later runic alphabets became a writing system - though earlier examples are such a mystery that they are thought to have been used as magical signs for charms, divination, and more. Inscribed upon stones, trees, buildings, and more; runes are attested to divine origin and the major deity Odin who gifted them to mankind. Cast in 2 separate pieces of your choice of metal and the soldered together, these rings are made of 100% recycled metal and your choice of gold color. We can also swap the colors to any combination you want, message us if you would like a combination that's not listed. We can make these in either a polished or brushed finish, please let us know which you prefer when ordering. 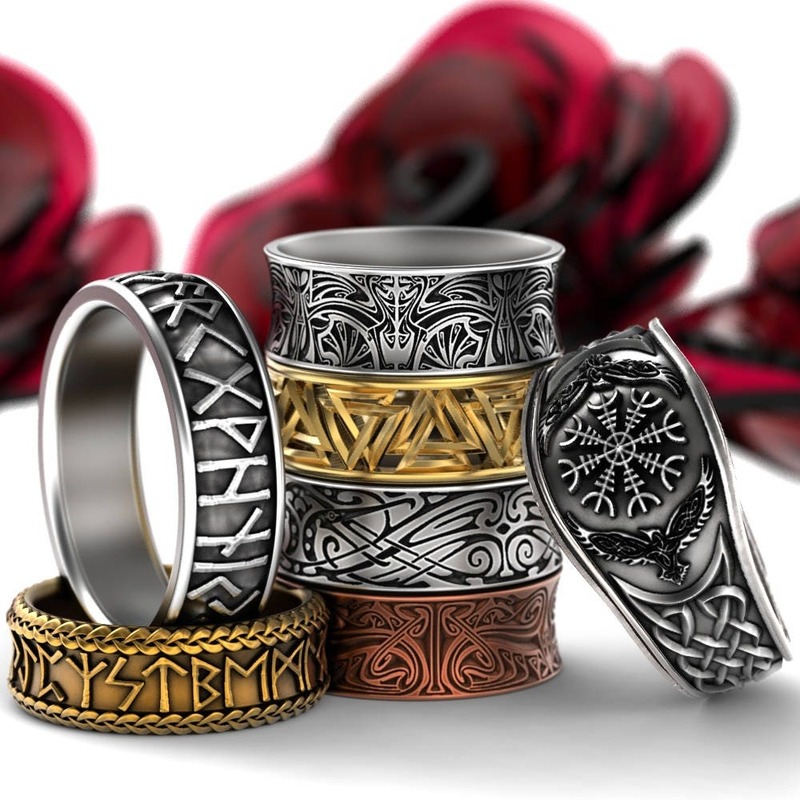 All our Celtic rings are made to order, and made in your size, WE --NEED-- YOUR SIZE BEFORE WE CAN MAKE YOUR RING. Our rings are available in 1/4 sizes from size 4 to 13, any other sizes are by special request only, please contact us if you need a size outside this range. 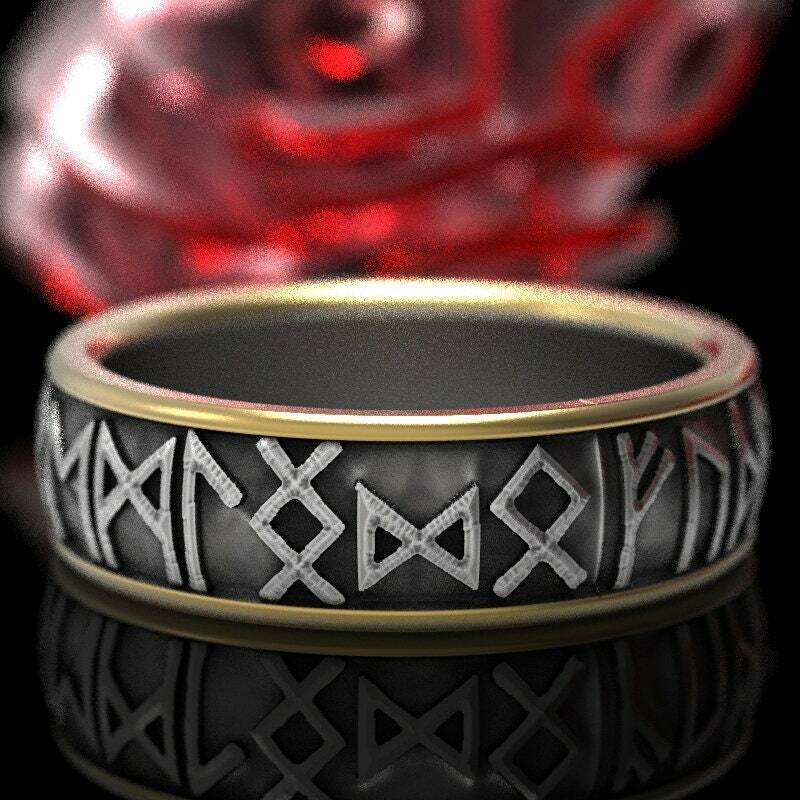 This Nordic ring design differs from most Celtic patterns in that the Rune lettering goes all the way around the ring in an unbroken pattern, symbolizing the continuous and intertwining nature of true love. 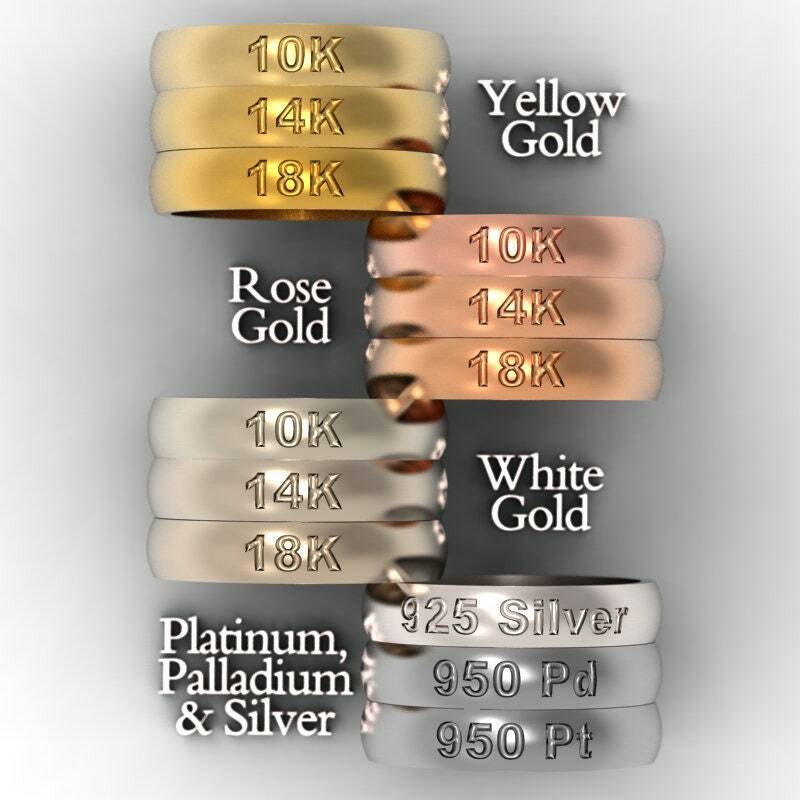 Each one is individually made in your size so the width of the ring varies depending on how wide your finger is, so all rings match proportionally (see the chart below to see how big the ring is in your size). We can vary the width, please message us if you'd like a custom width.